The Oswego County Literacy Initiative (OCLI) is a collaboration between all nine Oswego County school districts, the CNYOC Teacher Center, CiTi BOCES and the Reading League. The collaboration is the result of hours of soul-searching discussions between school district superintendents, other district administrators and CiTi BOCES leadership on how to best address the ever-challenging needs of Oswego County students and families. Research indicates that coaching is a key component to successful implementation of any new initiative or learning. As part of the OCLI, regular, job-embedded coaching by Reading League trained coaches will support teachers as they seek to implement reading strategies in their classrooms throughout the school year. Data collection will also be an integral component of the initiative. Tools such as teacher surveys, pre-post questionnaires, administrator and teacher interviews, assessment data, attendance/behavior data will be used to measure changes in teacher practice, attitudes and beliefs about effective reading instruction and the learning outcomes of the students. The results will be used to make informed, data-based decisions on professional development, teacher support and the initiative’s overall level of impact on reading achievement throughout Oswego County. 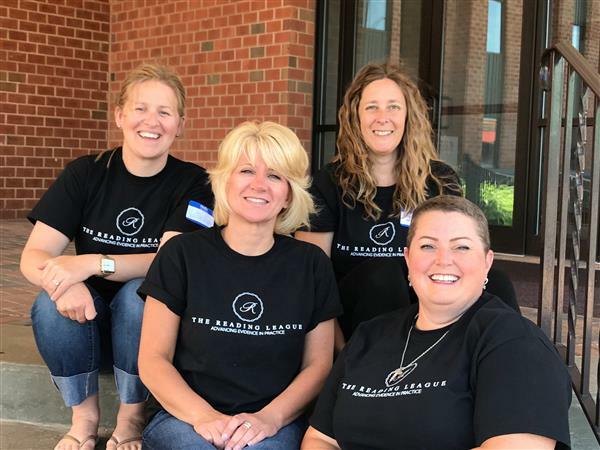 The leadership team at The Reading League matched up Reading League Coaches with on-site support for school districts. Coaches have been supporting district administrators, teachers, and students in a variety of ways. 38 teacher leaders and Reading League Coaches attended a 6 day training focused on Language Essentials for Teachers of Reading and Spelling (LETRS). In July 2018, 43 administrators representing every school district in Oswego County, attended a two-day professional development session. Approximately 40 Oswego County teacher leaders and Reading League Coaches attended a 6 day training focused on Language Essentials for Teachers of Reading and Spelling (LETRS). The training was a continuation from last summer. This cohort of teacher leaders have received over 72 hours of intensive training in evidence based reading instruction. The training aligns with the Oswego County Literacy Initiative to increase teacher knowledge. 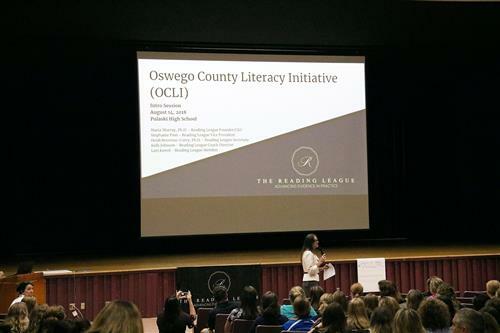 Approximately 180 Oswego County teachers, administrators, superintendents and Reading League coaches were present for a full-day OCLI introductory event held at the Pulaski Junior-Senior High School in July.